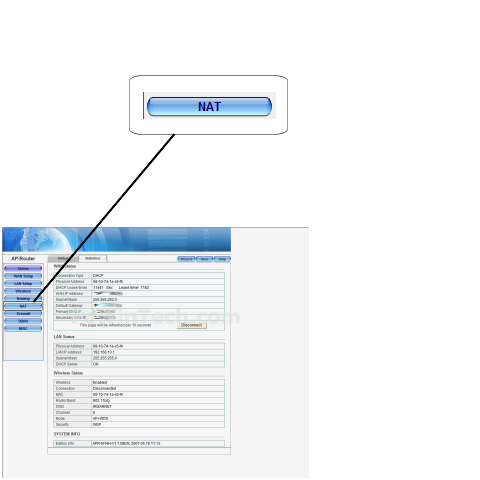 Once logged into your router click on "NAT". 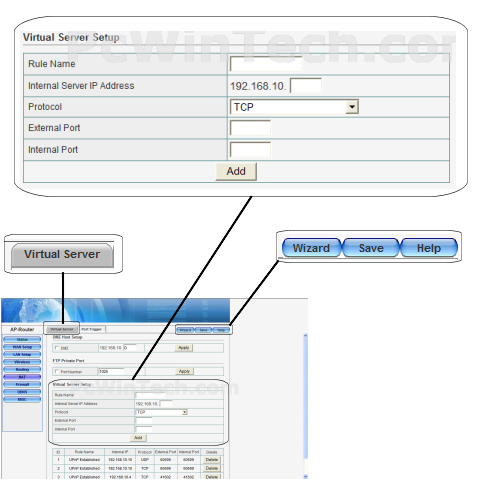 Normally 'Virtual Server' is chosen by default, if not click it. Under 'Rule Name' Give your entry a name, it must not be the same as any others on this page. 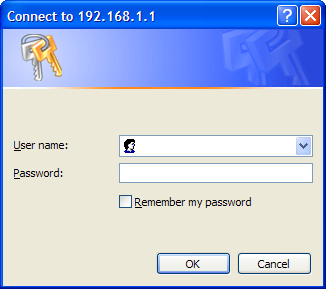 In the 'Internal Server IP Address' field put the local IP of the computer the ports will be forwarded to. For 'Protocol' select the protocol for the ports. In 'External Port' & 'Internal Port' enter the port to be forwarded. Click 'Add' once all information has been set.